We’re in the midst of fevered discussions about communications and security. Cybertarian campaigners want to stop collusion between corporations and governments to intercept citizen chat; attention-grabbing adolescents at Anonymous want to disrupt murderers who dislike mockery of their principal prophet and the gilt-edged grown-ups in national security services want to listen in on plans to revenge such blasphemy. But away from these dramatic debates over speech, privacy, the state, a less exciting conversation is underway, beyond the third-sector moralism of cybertarians, the attention span of adolescents, and the Olympian speechifying of spymasters. This conversation touches on security and communications in a less spectacular way. Do you know what your old phone is up to? 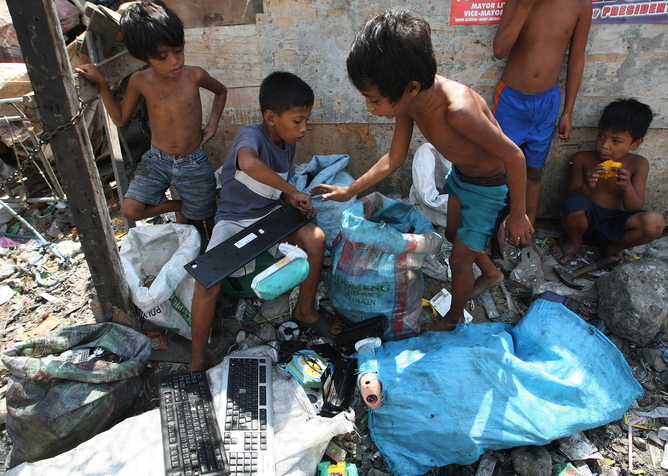 Electronic waste (or e-waste) is the largest source of materials left in municipal dumps around the world. A high proportion of it is derived from the gadgets you are reading this article on: phones, tablets, and computers, which quickly move from being vital sources of everyday life to discarded garbage once an upgrade becomes available. Where did that old fat-screen analogue television go when it was replaced by the slim, flat-screen digital version? Where are those phones you threw out? The ghosts of computers past. A vast proportion of these deadly gizmos, with their lethal cocktails of carcinogenic gases and chemicals, end up being unsafely recycled by the poorest of the poor, the most vulnerable of the vulnerable. Pre-teen girls in Chinese and Indian villages are expert at the dangerous work of extracting recyclable minerals from our detritus. Increasingly, of course, the trade in e-waste is domestic. Asian middle classes are booming and as keen as their so-called “Western” counterparts to fetishise the fresh and new by dumping the toxic and the old in the villages and bodies of the desperate. The result is horrendous disease, a poisoned water table, and drifting air pollution. Because this trade occurs in what is politely known as “the informal sector” – translation, where there are no taxes, benefits, health and safety protections, or retirement payments – it is difficult to trace the precise dimensions of e-waste. But the International Telecommunication Union, a technology booster if ever there was one, acknowledges the existence of a problem as annual amounts reach a reported 53 million metric tonnes (2013), with an additional 67 million metric tonnes sold in various forms. And after recycling? E-waste ends up in some very interesting places. Two years ago, the Pentagon and the US Senate Armed Services Committee reported that vital components of the nation’s military hardware routinely include “counterfeit” electronic materials, from China (70%), the UK (11%), and Canada (9%). The Pentagon defines counterfeiting as recycled materials wrongly sold as new, or misuse of others’ intellectual property. Often these counterfeits come from recycled e-waste – the committee estimated more than a million counterfeit parts were in service in US planes. It’s no surprise much of this can be traced back to China, where counterfeiting operates at an industrial level, with factory floors populated by thousands of workers dedicated to the task. 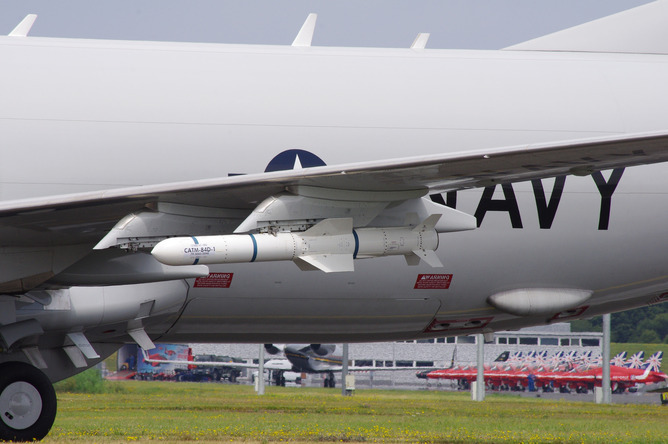 Take the Boeing P8 Poseidon, a plane used by the US Navy to drop torpedoes, depth charges and carry surveillance equipment. In 2011, Boeing reported it had discovered a faulty ice detection system in the aircraft, according to the senate committee report. Further investigation revealed the part was previously used, and made to appear new. After tracing the parts through companies in California and then Florida, it turned out the ice detection equipment had originally come from “an affiliate of A Access Electronics in Shenzhen, China.” And before that? Who knows? Investigators from the senate committee wanted to find out but were denied Chinese visas. Poseidon: made in California. Or Florida. Eventually. Now the story is in the news again. Forbes has just published a column on the topic as did National Defense magazine, an obvious mouthpiece for the military industrial complex. The principal beneficiaries of the complex are warning that this malfeasance continues unabated, and at a massive level, despite 2012 legislation designed to quell it. The senate committee report refers to “risks to national security and the safety of US military personnel” posed by this trade in counterfeit e-waste. There is no mention of the risks posed to people all over the world by the United States’ very use of matériel, of course. But the fact that e-waste is on the agenda in such powerful quarters bodes well for real reform towards managing it properly. The technology is available to recycle our electronic pleasures in a much safer way than is generally the case. In many instances, laws exist to mandate that. What we need is proper use of the technology and serious enforcement of such legislation. But beyond that, we need an end to the built-in obsolescence and advertising-fuelled clamour surrounding innovation. It would help if the cybertarians, adolescents, and spies were able to let go of their shared obsessions for a moment and question the very devices and systems on which they rely for their self-anointed roles. 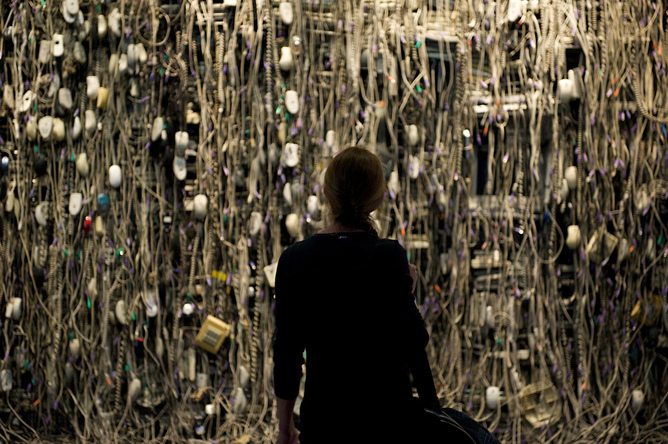 Then they might recognise that the much-vaunted internet of things is also and equally an internet of junk.